When even John Lewis is taking a hit, it’s clear that the high street is in mortal danger. When you think of a strong high street brand, there are few more secure names – to my mind, at least – than John Lewis. Let’s be honest, there are few other firms that manages to generate hype for its seasonal adverts, is there? And yet, John Lewis is clearly far from immune from the same battering that other high street stores are taking from online rivals. This week, it announced that its profits had fallen by a jaw-dropping 99% over the last 12 months to a paltry £1.2 million. Obviously, it could be worse – it could have lost money. 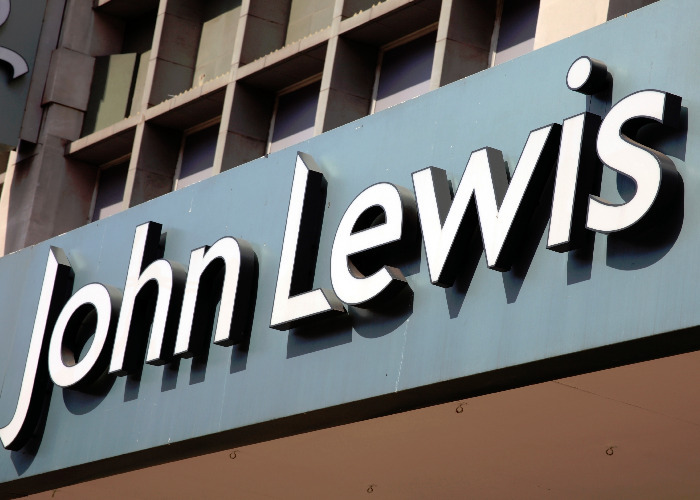 But when even a brand like John Lewis seemingly can’t make much of a success of trading on the high street, then that needs to be taken as a serious warning the high street as we know it is in real trouble. John Lewis, of course, has the selling point of ‘never knowingly undersold’, promising to match the prices of its high street competitors. The problem has been that there’s been a rush to the bottom, with a host of “extravaganza days” as Sir Charlie Mayfield, the firm’s chairman, put it. And those extravaganza days have seen massive price discounts, cutting deeply into the firm’s already stretched margins. Of course, the whole reason that so many high street stores are holding these huge sales is in a bid to compete with online rivals. But as things stand, this isn't a battle they can win. It’s precisely because of people like me that John Lewis, and every other high street brand, is having such a tough time (although not all loveMONEY writers are in the same boat). It’s not just that I detest the experience of shopping in person, but doing it all online is so convenient. I am an Amazon Prime member, I’m exactly that shopper who as soon as they need something – from a book to a new phone charger to special underwear for running (don’t ask) - heads straight to Amazon. With a few clicks on my phone, the item is ordered, and usually on its way within a couple of hours. I’m then updated on the progress of the delivery. What more could I ask for? Beyond the whole ‘not paying tax’ thing, obviously? But this approach is killing the nation’s high streets and putting people out of work. Clearly, something needs to be done to redress the balance a little. How can we help the high street? So what can be done to boost our high street shops and give them a leg up? They are always going to face more significant overheads – having a physical shop costs more than an online presence. But it’s not just rent they need to worry about, but business rates too. Business rates went up in April – for the second straight year – and have been cited in the struggles of plenty of high street giants, most notably House of Fraser which described them as “staggering”. The current structure of business rates play into the hands of online retailers – they rely on warehouses outside of city centres, which then attract much lower rates than the city centre stores that retailers use. Last year Sainsbury’s chief executive Mike Couple described business rates as “archaic” and called for “fundamental reform”. I find it difficult to argue with him – we need to find a way to level the business rates playing field. It’s also important that people stop having such an ambivalent attitude towards the tax antics employed by online retail giants. Last year, Amazon halved its Corporation Tax bill despite tripling its profits in the UK. We can’t keep letting these firms game the system. Last month Philip Hammond, the chancellor, said he was thinking about introducing a special revenue tax for online retailers. Thinking about it isn’t enough – we need one in place, and sharpish. The final step will come down to you and me. If we want to actually have high streets then we need to support them. That doesn’t mean abandoning online stores altogether, but certainly doing more of our shopping in person rather than through a couple of clicks on a computer or mobile device will make a difference. What do you think? Is John Lewis' struggles a sign we need to make changes, or is this just the natural evolution of the market as shopping habits change? Share your thought in the comments section below.